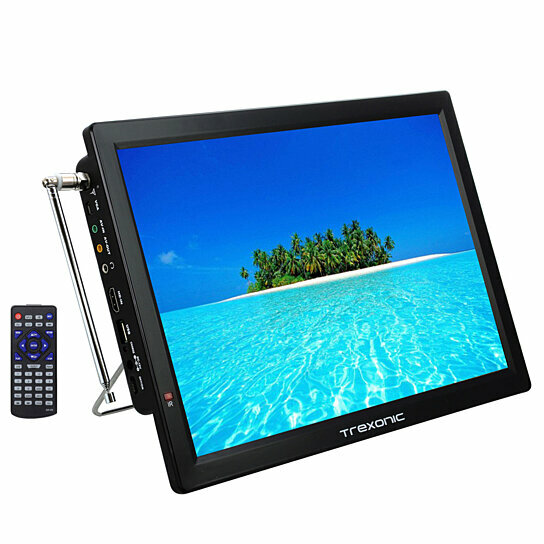 The Trexonic Portable Rechargeable 14 LED TV With HDMI, SD, MMC, USB, VGA, Headphone Jack, AV Inputs and Output And Built-in Digital Tuner offers you the luxury of high quality entertainment on the go! This easily portable and lightweight unit is made for your convenience and pleasure. While movie nights at home are great, and movie theaters are a wonderful way to enjoy new releases, we’ve all found ourselves out and about, traveling or running errands while missing the comfort of our favorite shows and movies. Now you can take your beloved digital content along no matter where your road may lead.